The result will be updated here. FYI, actually they are 2 different machines to do 2 different things. Lonsdor highlights its VOLVO key adding. Both the Obdstar and Lonsdor key tools work good in car key programming though. Obdstar works perfect in full-system diagnostics, odometer correction and special functions. Obdstar has a better kit with more adapters/cables to perform more functions. 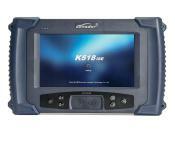 X300 DP PLUS is good at full-system diagnosis whiele K518ise can not do it. Lonsdor is the only key tool working for VOLVO immobilizer. 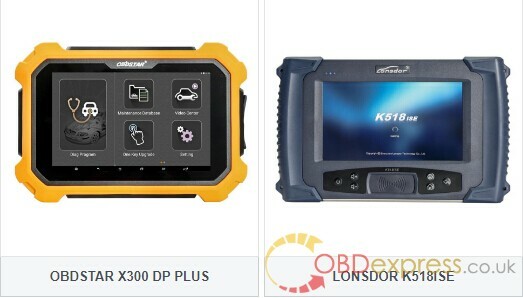 X300 DP PLUS supports more cars than k518 for mileage change. Obdstar is able to perform special functions including ECU programming/cloning, but Lonsdor works as an auto key programmers only!